Adam Morton takes a look at the recently announced package designed to deliver rent certainty and housing supply. 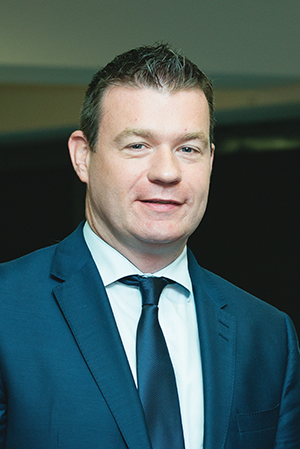 The recently announced integrated housing package agreed between Finance Minister Michael Noonan TD and Environment Minister Alan Kelly TD, is intended to be a comprehensive set of measures to deal with the problems currently facing the housing market, mainly the problems in the rental sector and immediate lack of supply of affordable housing in areas where it is needed. The number of people living in the private rented sector in Ireland has doubled in less than a decade with over 20 per cent of households now renting and the government hopes that these proposals will bring substantial benefits to the 700,000 people currently renting in Ireland. The report claims that current rental crisis is caused by a mismatch between levels of supply and demand for rental accommodation where it is needed. It is hoped that in conjunction with the Construction 2020 strategy and the Social Housing Strategy this plan will address these problems. 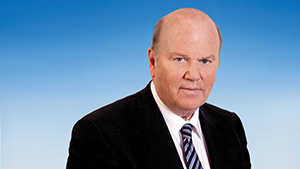 The latest figures from the Private Residential Tenancies Board (PRBT) shows that in the second quarter of 2015, rents had risen seven per cent year on year with the increase driven mainly by the Dublin market. One of the major problems with the current market is the lack of supply. In 2015, 2,700 units were completed in Dublin but roughly 8,000 units were needed to match supply. A single person on a salary of €36,000 paying a lower than average rent of €957 for a one bedroom apartment in Dublin would have to spend 41 per cent of their net income on their rent. For those on low incomes, the report finds there is an inadequate supply of housing available. The government recognises that tackling the supply problem will take time and as such, has put measures in place to address the problem. For tenants, the primary measure proposed is the Residential Tenancies Act which in effect will provide a form of rent control. From the enactment of this legislation, over the next four years rent reviews will only occur twice, providing the tenant with a longer period of predictable rent. In addition to this, other measures included in the report will substantially improve the rights of tenants. One of the measures will see the notice of new rent extended to 90 days and landlords must now provide notification of rent increase to the PRTB within one month and provide additional supporting documents including a signed statement by the tenant that they have been made aware of their rent increase as well as a supporting document in relation to market rent for three similar dwellings in the area. Changes to notice period for tenancy termination has also been announced. Presently, the length of notice for tenancy termination increases according to the length of the tenancy up to a maximum of 112 days but the new proposals will see graduated increases in this notice period, up to maximum of 224 days for tenancies of eight years or more. Similarly, deposits must now also be held by the PRTB for the duration of the tenancy who will also be the adjudicator in any disputes between landlord and former tenant. For landlords, measures will be introduced to make it easier to deal with tenants who engage in anti-social behaviour, or those who refuse to pay their rents. To deal with rent arrears and anti-social behaviour the relevant legislation will be amended so that PRTB Determination Orders can be enforced in the District Court rather than the Circuit Court. Similarly, the legislation surrounding the Notices of Termination will also be amended to ensure that a minor error in the Notice of Termination does not invalidate the notice. A tax relief scheme will also be introduced to encourage landlords to rent to those in receipt of social housing supports. The scheme will increase the amount of interest deduction to 100 per cent for landlords as an expense against rental income where they commit to renting to those in receipt of Housing Assistance Payment (HAP). The accommodation would have to be available for three years and registered with the Private Residential Tenancies Board (PRTB). The deduction would be provided to the landlord after the three year period ended. The government has also decided to bring forward supply related measures designed to boost property construction in locations of the greatest need and at a price people can afford. To enhance the supply at prices people can afford a one off initiative, the Targeted Development Contribution Rebate will, it is hoped kick start the increase in supply of new housing valued under €300,000 in Dublin and €250,000 in Cork. The initiative will accelerate the delivery of 7,000 affordable homes in Dublin and Cork and the rebates will apply to developments of more than 50 units completed and sold in 2016 and 2017 and units within appropriate floor sizes that are priced accordingly in Dublin and Cork. Similarly, in line with the government’s Construction 2020 strategy, new legislative provisions will allow An Bord Pleanála to approve alterations to strategic development zones’ planning schemes without the proposer having to start the process again. This will facilitate changes to some site configuration or phasing, where there was no change to the overall objective of the scheme. NAMA will also play their part by delivering 20,000 residential properties by the end of 2020. 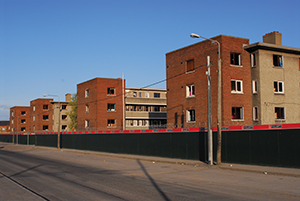 NAMA is currently carrying out a detailed, site-by-site, bottom up review of the residential sites controlled by its debtors and receivers and estimates that 90 per cent of these units will be in the Greater Dublin area with 75 per cent of these units delivered as starter homes.